What authentication option is able to address Magento security concerns better? In the recent years, cybersecurity has become a burning issue for both individuals and businesses. As the technology evolves, private and confidential data records are transferred to cloud storages, networks, and other virtual instances. Companies spend billions of dollars on implementing security systems and practices to protect this information from criminals. However, the risk of data breaches is still on the agenda for almost every industry: from finance and healthcare to retail and ecommerce. Though the number of data breaches tends to decrease, over 80% of retail businesses consider themselves vulnerable to data threats. According to the study, in 2017 43% of retailers faced a data breach at least once. And a third of them have experienced it more than one time. The problem of data security becomes even more significant now when the General Data Protection Regulation is about to go into effect. Amongst many actions store owners can take to ensure data security, a strong user authentication procedure plays one of the key roles. The very first thing one can do to protect sensitive data is to enhance access control. Passwords, unique codes, biometrics – there are a variety of options to grant access to customers and administrators’ accounts. 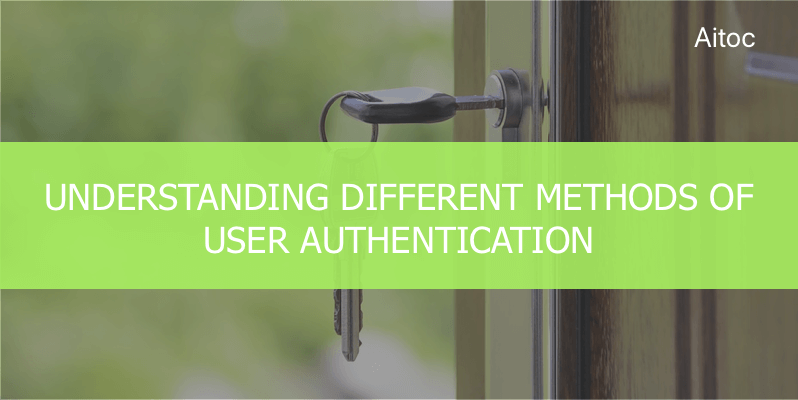 In this post, we are going to discuss the different user authentication methods. Which one is the best choice for a Magento-driven website? Let’s try to figure it out. One-factor, also known as single-factor authentication is the easiest and probably the most popular method of user verification. User’s identity is checked via only one category of credentials, usually a username and a password. So, users have to perform just one action to log into their online accounts. Single-factor authentication is widely spread. We’re sure you use just a password to enter at least one of your accounts every day. Very simple and familiar, this method, however, is rather weak in terms of security. Even though companies usually require their employees to have strong passwords, accounts can be hacked easily. Overcoming just one layer of security protection is a piece of cake for skilled hackers. When users forget their passwords, a system responds with common security questions such as “What’s the name of your first school teacher?”. Cybercriminals can find this type of information quite easily and so get access to the account. Besides, we all tend to use the same password on different websites. If one of them is compromised, the data on the others, including corporate ones, will become vulnerable too. One-factor authentication is definitely a preferable option for end-users due to its simplicity. But when talking about sensitive data related to customers, payments and other information, this method requires extra support. On its own, we suggest using it only when the stored information is not sensitive and confidential. Otherwise, it is better for Magento store owners to either combine it with stronger authentication types or rely on a more enhanced user verification approach like two-factor authentication. A more enhanced version of one-factor authentication, two-factor authentication involves two verification steps to get the access to an account. Apart from the username and password combo, so-called “something you know” factor, users have to prove the “something you have” one. For example, a trusted mobile phone number. It works like this: after entering a password, a user has to enter a unique code that has been sent to his phone. Upon the verification of both factors, the user gets access to the system. Implementation of this authentication method does not require significant resources or special employee training. Thus, it’s a method of choice for many businesses. World-known companies like Twitter and Facebook leverage two-factor authentication since it offers a protected, yet quite a simple way of user identification. Users don’t have to remember any specific information, but only the one they know well initially. Meanwhile, cybercriminals are limited in what they can pull off when two steps of verification are required. So, if you’re looking for a proven, easy and cost-effective solution to safeguard sensitive customer data, two-factor authentication is the right option. Magento store owners can implement it with no effort leveraging specialized solutions like Magento two-factor authentication. Multi-factor authentication is the most complex verification form that involves, as its name suggests, multiple factors to verify user identity. Rather than granting access based on one factor or two, multi-factor authentication embraces a whole range of verification points. These include biometrics, hardware tokens, and many others. Combination of a password, RFID and, say, a fingerprint scan or facial recognition is one of the possible examples of how this verification option can look like. Since the number of possible combination is very large in this case, MFA offers the highest level of security and protection. However, its implementation requires significant changes to the existing infrastructure and involves complex integrations with multiple apps and systems. Thus, it can cost millions of dollars for businesses to bring to life. It is definitely the right solution for banking institutions, finance and trading firms and other organizations that process and store super confident data, since its breach can cause irreparable harm. But as for the rest, two-factor authentication can address the current security needs to the full. Today strong and sophisticated passwords are no longer enough to keep data protected from cybercriminals. Choosing between different user authentication methods, Magento-driven businesses should think thoroughly so that to opt for the one that offers the best security/price ratio.